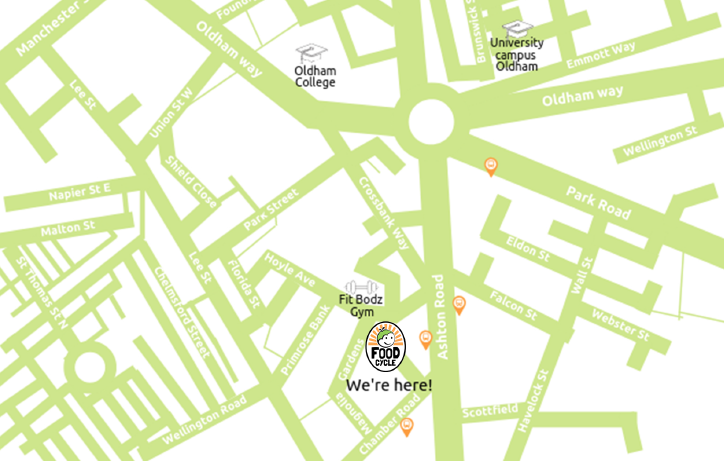 Join us for a tasty 3-course meal at FoodCycle Oldham from Tuesday 9th April at 6.15 pm. FoodCycle Oldham can only be possible with brilliant volunteers giving their time, enthusiasm and energy. We have opportunities available for people to come along and cook, host guests and be involved in collecting the surplus food donations from local suppliers. You don’t need to have any previous cooking experience, although if you do that is just as welcome! We want as many local volunteers as possible and everyone is welcome to be a part of FoodCycle Oldham.